12 Roehampton Court, later known as Maryfield Convent was built in 1913/1914 to a Georgian design. 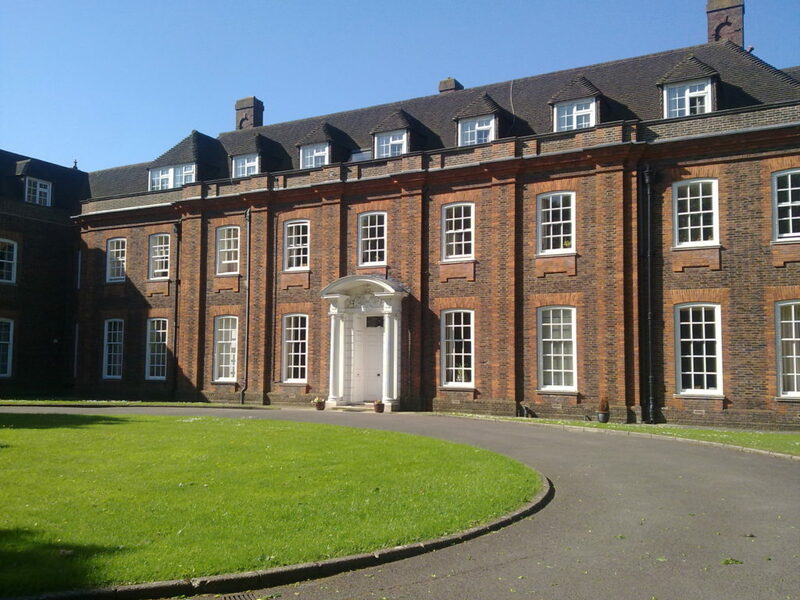 The Architect was Frank Chesterton, who also designed part of Hampton Court and Ibstock School. It was bought at Auction as a Freehold property together with 11 acres of land by The Poor Servants of The Mother of God on July 18th, 1927. 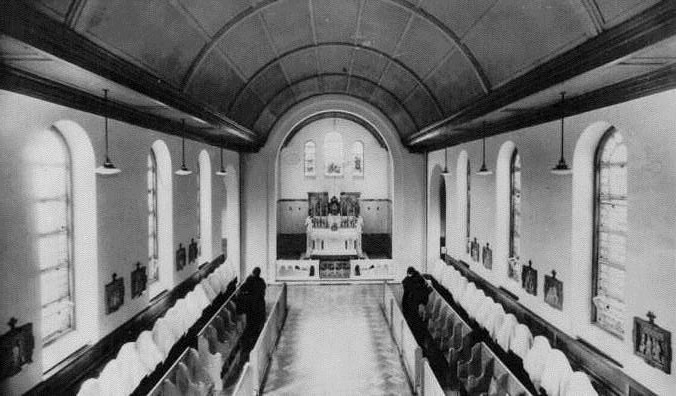 The new property was needed as a Novitiate, as St. Mary’s Convent in the High Street housed not only an orphanage but also the general leadership of the congregation as well as postulants, novices and tertians, preparing to take final vows. In September 1928 fifteen postulants arrived – so they were the first postulants to spend Christmas in Maryfield. In the course of the next ten years 1928-1938 additions were added to the original building, e.g. kitchen, laundry, dining room and especially the large and beautiful chapel. The main work in the house was the training of the novices. There were, of course, black-outs, identity cards and food rationing, all over England after the war broke out on September 3rd, 1939. But it was when the first bomb was dropped on London on August 15th, 1940 that everything changed. It was often a nightly occurrence for air raid warnings to start at 9 or 10 o’clock and people had to head for air raid shelters and remain until the “all clear” sounded indicating that it was safe to emerge. In 1941 Digby Stuart College was hit, but fortunately there was no loss of life. However, on October 10th, 1941 one of the Jesuit novices was killed in an air raid and so Maryfield was regarded as being unsafe and the novitiate was moved to Corston near Bath. Alas, however, on 18th February 1944 a basket of bombs – called ‘Molotov-cocktail’ landed on the roof of the original house in Maryfield, and in a few hours it was completely engulfed in flames. Peace was declared in 1945 and gradually things came back to normal and the novices returned to Maryfield. From 1945-1974 the house was used for the Generalate/ Trustees and Novitiate. From 1974-1995 The Novitiate was relocated to the top floor of the Convent and the remainder of the house converted as a Residential Home for ladies with Learning Disabilities. In 1995 part of the New Wing was then refurbished and became the present Retreat and Conference Centre which is known as the Kairos Centre. The Generalate continues to operate from the main building. The Kairos Centre is in the Archdiocese of Southwark.